In January 2015 Design Pickle changed the game with how marketers procure, budget and execute graphic design content. Since then we’ve had over 1,000 clients come through our doors and over 6,000 projects completed with tens of thousands of revisions. Today Design Pickle is launching a new campaign to build our tribe – it’s called 100×1000. And AZTC members can take $50 by using the code aztech50. graphic design service for $1,000 flat. unlimited revisions, graphic design support. 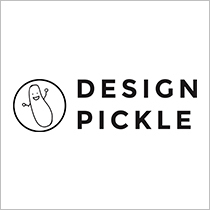 Design Pickle is proudly self-funded. We have experienced huge success but we also never rest. We are looking to take things to the next level in every way imaginable. Find 100 clients who share our values: Friendly, Resourceful, Smart-working and Service. Provide them 6-months of our service for $1,000. Invest every single dollar back into the company to expand. Improvements include how the software manages your creative files, expanding the customer success team, hiring supporting vendors to accelerate our growth and expand our service hours as we inch towards a 24-hour platform. Ultimately all of this cash will go to support our mission to disrupt the way businesses get day-to-day graphic design done. We will be offering these 100 clients 6-months of our service for a flat $1,000. No, that’s not a mistake. Unlimited graphic design help, unlimited revisions and our next business day service for an insane price. Learn more about Design Pickle and its 100×1000 campaign here.